The "melt in your mouth" muffin from the coffee shop inspired an afternoon in the kitchen. All that I had known about the muffins in the first place was that they were made with coconut oil rather than butter (the barista told me this to try to ease the guilt of the addiction one day). It gave me a place to start. I knew I wanted to make these muffins as organic as possible, obviously gluten free, and I thought, what the heck, these should be paleo too! With the inspiration from the coffee shop muffins and a few other recipes I had seen I created this magical and moist Banana Nut Muffin that is sooo unbelievably good. I feel really good about the ingredients used too, you'll see... and you'll know the goodness when you try them! 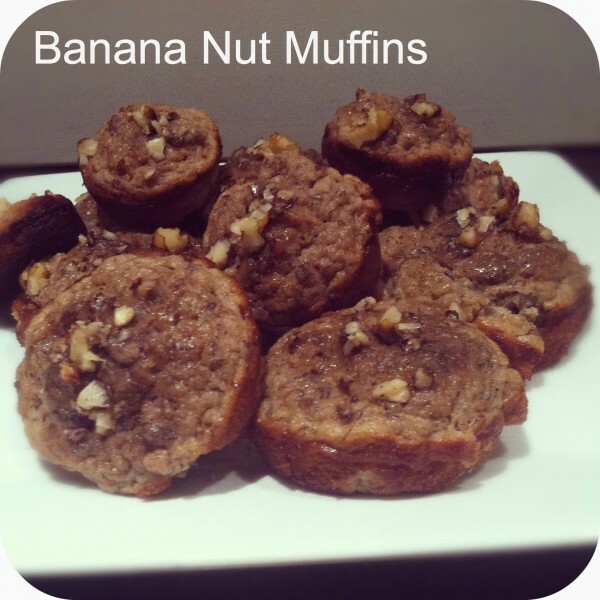 What makes these Banana Nut Muffins "good for me"? The coconut flour is rich in dietary fiber, supporting your digestive system, heart health, and immune system. Coconut Flour is also high in protein. The bananas are also nutrition packed with Dietary Fiber, Vitamin C, Potassium Manganese, and a great source of Vitamin B6. To top things off, coconut oil used instead of butter is giving you great nutritional value as well- it's crazy "good for you"!